Our Faith & Justice initiatives allow us to mobilize people and institutions of faith and moral courage to end mass incarceration. 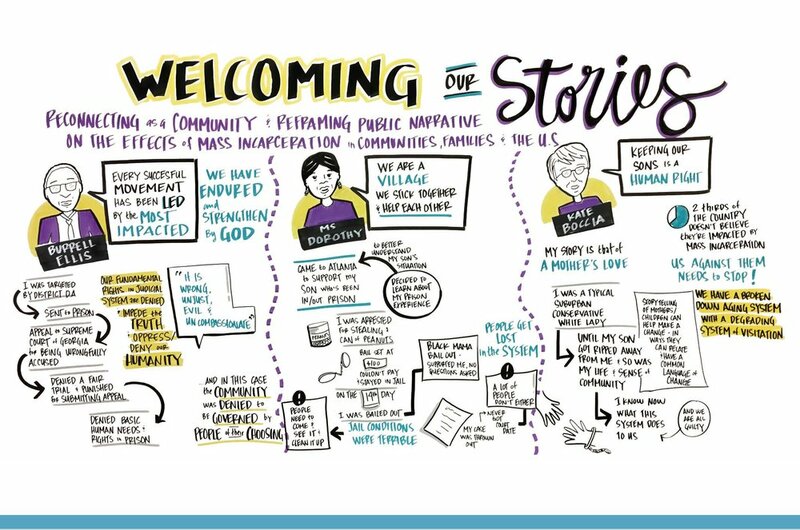 It began with a 2018 pilot project which we named “Faith and Justice Sunday,” in order to further educate people and institutions of faith on the inequities of cash bail and its disproportionate impact on the less affluent, and particularly, people of color. 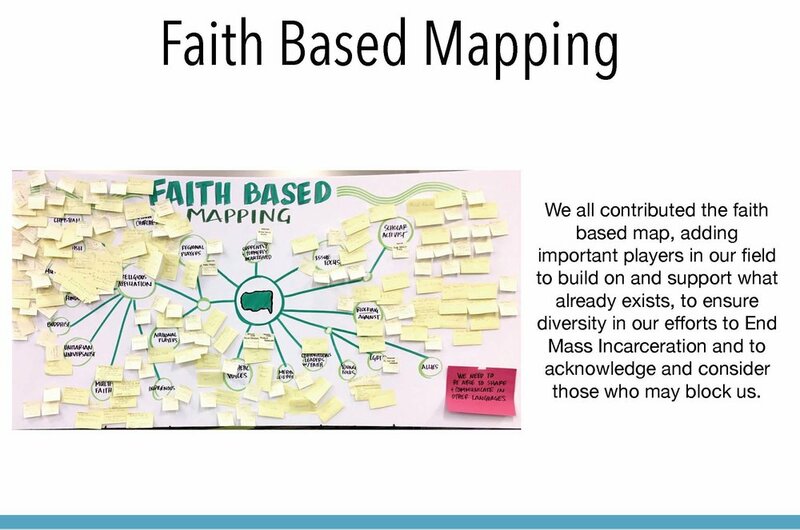 This pilot program has evolved into our participation with a coalition of progressive faith leaders and social justice organizations to form the Multi-Faith Initiative to End Mass Incarceration (“Multi-Faith Initiative”). 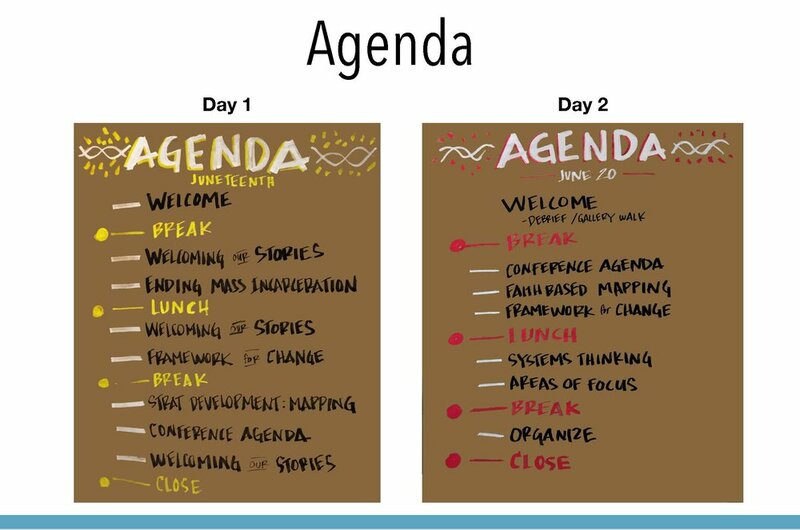 After a series of planning sessions, the Multi-Faith Initiative held a two-day development workshop in June 2018, to further develop a National Convening to End Mass Incarceration, set for Spring 2019. 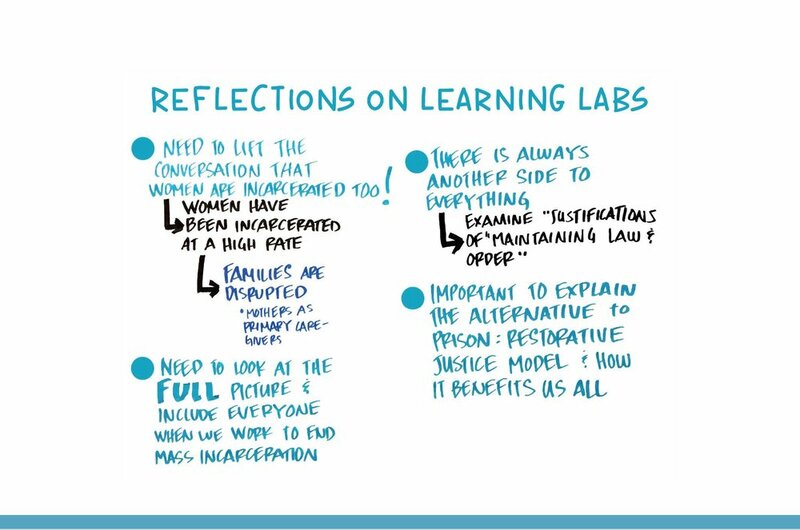 The visual recap from the workshop, including session break-outs and the stories of individuals who have been directly impacted by the criminal justice system, is included here as a slideshow. We are thankful to each of our coalition partners, with special gratitude to the Historic Ebenezer Baptist Church and its pastor, the Rev. 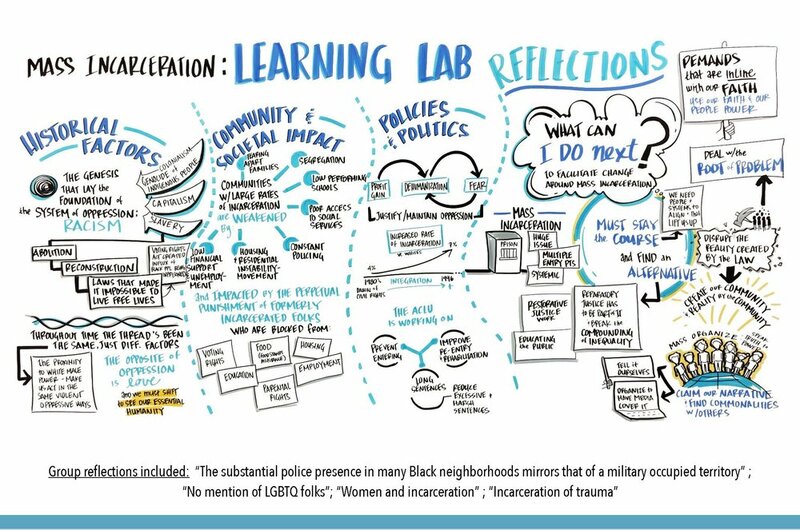 Dr. Raphael Warnock, for hosting the Spring Workshop and to the Auburn Seminary of New York for granting us permission to publish the visual recap.